The Mahavamsa ("Great Chronicle", Pali Mahāvaṃsa) (5th century CE) is an epic poem written in the Pali language. It relates the history of Sri Lanka from its legendary beginnings up to the reign of Mahasena of Anuradhapura (A.D. 302) covering the period between the arrival of Prince Vijaya from India in 543 BCE to his reign (277–304 CE). It was composed by a Buddhist monk at the Mahavihara temple in Anuradhapura about the sixth century A.D.
Mahasena, also known in some records as Mahasen, was a king of Sri Lanka who ruled the country from 277 to 304 AD. He started the construction of large tanks or reservoirs in Sri Lanka, and built sixteen such tanks. After becoming king, Mahasen discriminated the Theravada Buddhists in the country, and destroyed several temples including Mahavihara before his chief minister led him to realise his mistakes. The Jethavana stupa was also built by Mahasen. His countrymen regarded him as a god or deity after the construction of the Minneriya tank, and he was named Minneri Deviyo. Prince Vijaya was a legendary king of Sri Lanka, mentioned in the Pali chronicles, including Mahavamsa. According to these chronicles, he is the first recorded King of Sri Lanka. His reign is traditionally dated to 543–505 BCE. According to the legends, he and several hundred of his followers came to Lanka after being expelled from an Indian kingdom. 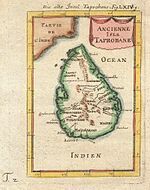 In Lanka, they displaced the island's original inhabitants (Yakkhas), established a kingdom and became ancestors of the modern Sinhalese people. The Buddha's Visits to Ceylon: This material recounts three legendary visits by the Buddha to the island of Ceylon. These stories describe the Buddha subduing or driving away the yakkhas and nagas that were inhabiting the island and delivering a prophecy that Ceylon will become an important Buddhist center. These visits are not mentioned in the Pali Canon or other early sources. Chronicles of Kings of Ceylon: This material consists of genealogies and lineages of kings of Ceylon, sometimes with stories about their succession or notable incidents in their reigns. This material may have been derived from earlier royal chronicles and king lists that were recorded orally in vernacular languages, and are a significant source of material about the history of Ceylon and nearby Indian kingdoms. 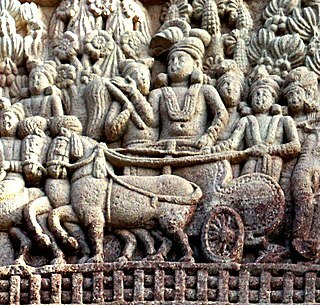 History of the Buddhist Sangha: This section of the Mahavamsa deals with the mission sent by Emperor Ashoka to Ceylon, the transplantation of the bodhi tree, and the founding of the Mahavihara. It includes the names of prominent monks and nuns in the early Sri Lankan sangha. It also includes accounts of the early Buddhist councils and the first recording of the Pali canon in writing. This is a significant source of material about the development of the early Buddhist community, and includes the names of missionaries dispatched to various regions of South and Southeast Asia, some of which have been confirmed by inscriptions and other archaeological evidence. Yakkha is an indigenous ethnic group from the Indian subcontinent, mainly in modern-day Nepal and present-day India. It is one of the progenies of Nepal's prehistoric Kirat dynasty. The Yakkha people are subsistence farmers who inhabit the lower Arun valley in eastern Nepal. They number only a few thousand and their language is nearly extinct. Ashoka, sometimes Ashoka the Great, was an Indian emperor of the Maurya Dynasty, who ruled almost all of the Indian subcontinent from c. 268 to 232 BCE. The grandson of the founder of the Maurya Dynasty, Chandragupta Maurya, Ashoka promoted the spread of Buddhism. Considered by many to be one of India's greatest emperors, Ashoka expanded Chandragupta's empire to reign over a realm stretching from present-day Afghanistan in the west to Bangladesh in the east. It covered the entire Indian subcontinent except for parts of present-day Tamil Nadu, Karnataka and Kerala. The empire's capital was Pataliputra, with provincial capitals at Taxila and Ujjain. Mahavihara is the Sanskrit and Pali term for a great vihara and is used to describe a monastic complex of viharas. Buddhist monks of the Anuradhapura Maha Viharaya maintained chronicles of Sri Lankan history starting from the third century BCE. These annals were combined and compiled into a single document in the 5th Century while Dhatusena of Anuradhapura was ruling the Anuradhapura Kingdom. It was written based on prior ancient compilations known as the Atthakatha (sometimes Sinhalaatthakatha), which were commentaries written in Sinhala. [ page needed ] An earlier document known as the Dipavamsa (4th century CE) "Island Chronicles" is much simpler and contains less information than the Mahavamsa and was probably compiled using the Atthakatha on the Mahavamsa as well. Dhatusena was a king of Sri Lanka who ruled from 455 to 473 AD. He was the first king of the Moriyan dynasty. In some records, he is also identified as Dasenkeli. Dhatusena reunited the country under his rule after twenty six years, defeating the South Indian invaders that were ruling the country at that time. Dhatusena made eighteen irrigation tanks, a large irrigation canal known as Yodha Ela, and the Avukana Buddha statue, a large statue of Gautama Buddha. Aṭṭhakathā refers to Pali-language Theravadin Buddhist commentaries to the canonical Theravadin Tipitaka. These commentaries give the traditional interpretations of the scriptures. The major commentaries were based on earlier ones, now lost, in Prakrit and Sinhala, which were written down at the same time as the Canon, in the last century BCE. According to Theravada tradition, the major commentary were authored by five hundred senior monks at the First Buddhist council. Some material in the commentaries is found in canonical texts of other schools of Buddhism, suggesting an early common source. The Dipavamsa or Deepavamsa, is the oldest historical record of Sri Lanka. The chronicle is believed to be compiled from Atthakatha and other sources around the 3-4th century. Together with the Mahavamsa, it is the source of many accounts of ancient history of Sri Lanka and India. Its importance resides not only as a source of history and legend, but also as an important early work in Buddhist and Pali literature. A companion volume, the Culavamsa "Lesser Chronicle", compiled by Sinhala monks, covers the period from the 4th century to the British takeover of Sri Lanka in 1815. The Culavamsa was compiled by a number of authors of different time periods. The combined work, sometimes referred to collectively as the Mahavamsa, provides a continuous historical record of over two millennia, and is considered one of the world's longest unbroken historical accounts. It is one of the few documents containing material relating to the Nāga and Yakkha peoples, indigenous inhabitants of Lanka prior to the legendary arrival of Prince Vijaya from Singha Pura of Kalinga. As it often refers to the royal dynasties of India, the Mahavamsa is also valuable for historians who wish to date and relate contemporary royal dynasties in the Indian subcontinent. It is very important in dating the consecration of the Maurya Emperor Ashoka, which is related to the synchronicity with the Seleucid Empire and Alexander the Great. Indian excavations in Sanchi and other locations, confirm the Mahavamsa account of the empire of Ashoka. The accounts given in the Mahavamsa are also amply supported by the numerous stone inscriptions, mostly in Sinhala, found in Sri Lanka. K. Indrapala  has also upheld the historical value of the Mahavamsa. If not for the Mahavamsa, the story behind the large stupas in Anuradhapura, Sri Lanka, such as Ruwanwelisaya, Jetavanaramaya, Abhayagiri vihāra and other works of ancient engineering would never have been known. Besides being an important historical source, the Mahavamsa is the most important epic poem in the Pali language. Its stories of battles and invasions, court intrigue, great constructions of stupas and water reservoirs, written in elegant verse suitable for memorization, caught the imagination of the Buddhist world of the time. Unlike many texts written in antiquity, it also discusses various aspects of the lives of ordinary people, how they joined the King's army or farmed. Thus the Mahavamsa was taken along the Silk Road to many Buddhist lands. Parts of it were translated, retold, and absorbed into other languages. An extended version of the Mahavamsa, which gives many more details, has also been found in Southeast Asia. The Mahavamsa gave rise to many other Pali chronicles, making Sri Lanka of that period probably the world's leading center in Pali literature. The Mahavamsa has, especially in modern Sri Lanka, acquired a significance as a document with a political message. The Sinhalese majority often use Manavamsa as a proof of their claim that Sri Lanka is a Buddhist nation from historical time. The British historian Jane Russell  has recounted how a process of "Mahavamsa bashing" began in the 1930s, especially from within the Tamil Nationalist movement. The Mahavamsa, being a history of the Sinhala Buddhists, presented itself to the Tamil Nationalists and the Sinhala Nationalists as the hegemonic epic of the Sinhala people. This view was attacked by G. G. Ponnambalam, the leader of the Nationalist Tamils in the 1930s. He claimed that most of the Sinhala kings, including Vijaya, Kasyapa, and Parakramabahu, were Tamils. Ponnambalam's 1939 speech in Nawalapitiya, attacking the claim that Sri Lanka is a Sinhalese, Buddhist nation was seen as an act against the notion of creating a Buddhist only nation. The Sinhala majority responded with a mob riot, which engulfed Nawalapitiya, Passara, Maskeliya, and even Jaffna. :148  The riots were rapidly put down by the British colonial government, but later this turned through various movements into the civil war in Sri Lanka which ended in 2009. Various writers have called into question the morality of the account given in the Mahavamsa, where Dutugamunu regrets his actions in killing Ellalan [ citation needed ] and his troops. The Mahavamsa equates the killing of the invaders as being on par with the killing of "sinners and wild beasts", and the King's sorrow and regret are assuaged. This is considered by some critics as an ethical error. However, Buddhism does recognize a hierarchy of actions as being more or less wholesome or skillful, although the intent is as much as or more important than the action itself. Thus the killing of an Arahant may be considered less wholesome and skillful than the killing of an ordinary human being. Buddhists may also assert that killing an elephant is less skillful and wholesome than killing an ant. In both cases, however, the intent must also be considered. An important thing to note is that Dutthagamani regretted his act, and this was also true of King Ashoka, who became a pacifist after a series of bloody military campaigns. In 1935, Buddhist monk Yagirala Pannananda published Mahavamsa Part III , a Sinhala language continuation of the Mahavamsa that covers the period from the end of the Culavamsa up until 1935.  :95–104 While not authorized or supported by any government or religious organization, this continuation of the Mahavamsa was later recognized by the government of Sri Lankan Prime Minister JR Jayawardene. Buddhaghosa was a 5th-century Indian Theravada Buddhist commentator, translator and philosopher. He worked in the Great Monastery (Mahāvihāra) at Anurādhapura, Sri Lanka and saw himself as being part of the Vibhajjavāda school and in the lineage of the Sinhalese Mahāvihāra. Mahinda was a Buddhist monk depicted in Buddhist sources as bringing Buddhism to Sri Lanka. He was the first-born son of the Mauryan emperor Ashoka from his wife Devi and the elder brother of Sanghamitra. The Anuradhapura Maha Viharaya was an important mahavihara or large Buddhist monastery for Theravada Buddhism in Sri Lanka. It was founded by king Devanampiya Tissa of Anuradhapura in his capital city of Anuradhapura. The Mahavihara was the place where the Theravada Mahaviharan orthodoxy was established by monks such as Buddhaghosa and Dhammapala who wrote commentaries on the Tipitaka and texts such as the Visuddhimagga which are central to Theravada Buddhist doctrine. The monks living at the Mahavihara were referred to as Mahaviharavasins. The Bodhi-Vamsa, or Mahabodhivamsa, is a prose poem in elaborate Sanskritized Pali that recounts the story of the Bodhi tree of Anuradhapura. It is attributed to a monk called Upatissa who lived during the reign of Mahinda IV of Sri Lanka, and believed to have been composed in the 10th Century AD. It is written in the kavya style. Pali literature is concerned mainly with Theravada Buddhism, of which Pali is the traditional language. The earliest and most important Pali literature constitutes the Pāli Canon, the scriptures of Theravada school. Wilhelm Ludwig Geiger was a German Orientalist in the fields of Indo-Iranian languages and the history of Iran and Sri Lanka. He was known as a specialist in Pali, Sinhala language and the Dhivehi language of the Maldives. He is especially known for his work on the Sri Lankan chronicles Mahāvaṃsa and Cūlavaṃsa of which he made critical editions of the Pali text and English translations with the help of assistant translators. Dāṭhavaṃsa is a Pali historical chronicle attributed to Dhammakitti Thero. It is sometimes titled in English as "The History of the Tooth Relic" and contains histories and popular traditions associated with the Relic of the tooth of the Buddha. This relic is currently enshrined at the Temple of the Tooth in Kandy, Sri Lanka. The Thūpavaṃsa is a Sri Lankan historical chronicle and religious text recorded in the Pali language. It's composition is attributed to a Buddhist monk known as Vācissara, the putative author of several Pali and Sinhala commentaries and handbooks. It was likely composed in the second half of the 13th Century. 1 2 3 4 5 6 7 8 9 10 11 12 Von Hinüber, Oskar (1997). A Handbook of Pali Literature (1st Indian ed.). New Delhi: Munishiram Manoharlal Publishers Pvt. Ltd. pp. 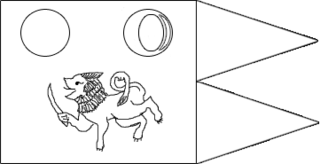 87–93. ISBN 81-215-0778-2. ↑ Tripāṭhī, Śrīdhara, ed. (2008). Encyclopaedia of Pali Literature: The Pali canon. 1. Anmol. p. 117. ISBN 9788126135608. ↑ Harris, Elizabeth (2006). Theravada Buddhism and the British Encounter: Religious, Missionary and Colonial Experience in Nineteenth Century Sri Lanka (1st ed.). New York: Routledge. p. 12. ISBN 0415544424. 1 2 3 4 5 6 7 8 9 10 11 Kemper, Steven (1992). The Presence of the Past: Chronicles, Politics, and Culture in Sinhala Life (1st ed.). Ithaca, NY: Cornell University Press. p. 33. ISBN 0801423953. ↑ Senewiratne, Brian (4 February 2012). "Independence Day: A Day For Action, Not Mourning". Colombo Telegraph. Archived from the original on 12 July 2016. ↑ E. F. C. Ludowyk's discussion of the connection between religion in the Mahavamsa and state-power is discussed in Scott, David (1994). "Historicizing Tradition". Formations of Ritual: Colonial and Anthropological Discourses on the Sinhala Yaktovil. Minneapolis, Minnesota: University of Minnesota Press. pp. 191–192. ISBN 978-0-8166-2255-9. .
↑ "Mahavamsa, the great chronicle". Sunday Observer. 29 June 2008. Retrieved 5 November 2014. ↑ Rhoads Murphey (February 1957). "The Ruin of Ancient Ceylon". The Journal of Asian Studies. Association for Asian Studies. 16 (2): 181–200. doi:10.2307/2941377. JSTOR 2941377. 1 2 Wilhelm Geiger (1912). Mahavamsa: Great Chronicle of Ceylon. New Dehli: Asian Educational Services. 16-20. Wikisource has the text of the 1905 New International Encyclopedia article Mahāvansa .